Former UN Secretary General Boutros Boutros-Ghali has died at the age of 93. 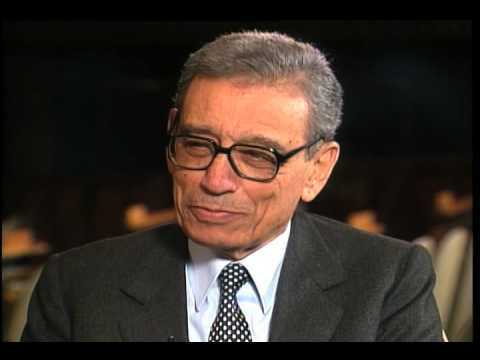 Boutros Boutros-Ghali died at a Cairo hospital on February 16, Egypt’s state news agency said, after reportedly being admitted with a broken pelvis. His death was confirmed by Rafael Dario Ramirez Carreno, the Venezuelan ambassador to the UN and current president of the UN Security Council. As an Egyptian, Boutros Boutros-Ghali was the first Arab to serve as UN chief. Boutros Boutros-Ghali took office in 1992 at a time of increasing influence for the world body following its decisive role in the Gulf War, serving one five-year term. The 15-member Security Council observed a minute’s silence after the announcement, which was made at the start of a session on Yemen’s humanitarian crisis. Boutros Boutros-Ghali’s five years in office were clouded by controversy, especially about perceived UN inaction over the 1994 Rwandan genocide and Angolan civil war of the 1990s. To some, he was an effective diplomat who was caught in a rift between the UN and the United States. Others, most notably in Washington, saw him as a symbol of all that was wrong with the organization. Boutros Boutros-Ghali was often jeered, and often waded into crowds to confront protesters when security guards permitted. He shocked many in Sarajevo when he said he was not trying to belittle the horrors in Bosnia but that there were other countries where the “total dead was greater than here”. After leaving the UN, Boutros Boutros-Ghali served from 1998 to 2002 as secretary general of La Francophonie – a grouping of French-speaking nations. In 2004, Boutros Boutros-Ghali was named the president of Egypt’s new human rights council, a body created by then-Egyptian leader Hosni Mubarak amid US pressure on Arab nations for democratic reform. Barack Obama: "Donald Trump Will Not Be President Because It's a Serious Job"